Here is a stunning home on 5.21 acres in the JSASD and only minutes from Route 220. Located conveniently between Williamsport and Lock Haven, this custom built home offers 3 or 4 bedrooms, 3 baths and a spacious, open floor plan. Features include tile and hardwood floors, washed maple custom cabinets, granite counter tops, formal dining area, living room with cathedral ceiling and fireplace, first floor bedroom and den. The upper level includes a beautiful master suite with 2 walk in closets, large master bath with whirlpool tub, an additional bedroom and storage room. The lower level provides the perfect man cave complete with a 3/4 bath, bedroom, wood stove and shop. 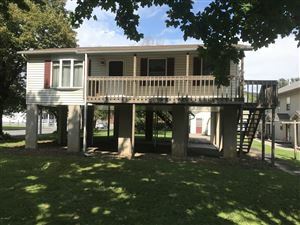 You’ll love the decks, pool and privacy too!